Opera Vera is a London-based company that seeks to offer young professional singers the opportunity to perform grand opera in its original language. Formed in 2012 the company received critical acclaim for its first production - Mozart's 'Don Giovanni' - led by James McOran-Campbell in the title role. We are delighted to be working in collaboration with the orchestra of the Brillig Ensemble, and a number of acclaimed directors. Here are biographies of the principals and staff who have worked with us on recent productions. Perth-born Roberto Abate (Tenor) has performed with the West Australian Opera since 2006 when he made his debut as a member of the West Australian Opera Chorus. In 2009 Roberto performed the role of Nemorino in L’elisir d’amore for WA Opera’s Opera in the Park, marking his lead role debut. Other principal roles he has performed with the company are Parpignol (La bohème), 1st Priest (Die Zauberflöte), Harry (La Fanciulla del West), Bob Bowles (Peter Grimes), Nanki – Poo (Mikado) and Beppe (Pagliacci). While studying Classical Voice and Music Theatre at the Western Australian Academy of Performing Arts (WAAPA), his classical roles included Rodolfo (La bohème) in the annual Opera Scenes and Don Basilio in Autonomous Productions’ The Marriage of Figaro. As the recipient of the Australian International Opera Awards scholarship and the Frank and Viola Tait Award from the Tait Memorial Trust, Roberto has recently completed his masters in Advanced Vocal Technique with Dennis O’Neill at the Wales International Academy of Voice in Cardiff. Roberto’s most recent engagements include performances of Alfred in Die Fledermaus on tour in Malaysia with Co-Opera and his debut into professional opera in the UK taking part in Grange Park Opera’s production of Don Quichotte. Winner of 1st Prize in the 2013 Emmy Destinn Awards and semi-finalist in the 2013 Kathleen Ferrier Awards, soprano Philippa Boyle studied in Rome, with Elvira Spica at Conservatorio Santa Cecilia graduating with distinction, and the Opera Studio of Accademia Nazionale di Santa Cecilia with world-renowned soprano Renata Scotto. Prior to her studies in Italy, Philippa was a choral scholar at Clare College, Cambridge, where she read Classics. With the choir she toured Japan, Hong Kong, the USA and all over Europe, and is a soloist on several of their recordings. She has performed as a soloist under such conductors as Ivor Bolton (Filia in Carissimi's Jephthe for Munich Oper Fest and Innsbruck Festwochen der Alten Musik), John Rutter and Sir David Willcocks. She has also appeared at the Festival D'art Lyrique d'Aix en Provence, Beijing Music Festival and the Rome International Baroque Festival, and given recitals in Burma, Malaysia and Madeira. Recent and future engagements include Giunone (Cavalli La Calisto) for Hampstead Garden Opera, Yukiko (Kim B Ashton Tonseisha) for Tete a Tete Opera Festival; Handel Messiah in York Minster; Verdi Requiem at King's College, Cambridge; and further performances in Aix-en-Provence, Rome and Zurich. She studies with Dinah Harris and Ludmilla Andrew. Nina Brazier (Director) studied Drama at Exeter University, has a Masters in Text & Performance from RADA and Kings College London, and has participated in the Operating Table Directors' Course at the Royal Opera House. Credits include: world premiere The Physicists (Tête à Tête: The Opera Festival, Riverside Studios), Staged Opera Gala (Feste Musicali, Puglia), scene from The Sculptor, (Linbury, Royal Opera House), opera world premiere Hotel Suite (Royal College of Music), three sell-out shows for Grimeborn Opera Festival including Spilt Milk, Trouble in Tahiti, and The Magic Flute (Time Out Critics' Choice), and Opera Scenes for Birkbeck University and Guildhall. She has worked as a Staff and Assistant Director for English National Opera, Welsh National Opera, the Royal Opera House and Opera North. Nick Dwyer performed as Zaretsky and covered the title role in Eugene Onegin at Grange Park Opera in 2013, where he previously sang as Carceriere in Tosca. Roles include Marcello in OperaUpClose's Olivier Award winning La Bohème, Guglielmo (Cosi Fan Tutte, Situation Opera), Escamillo (Carmen, OperaUpClose), Alidoro (Cenerentola, OperaUpClose), and Javert (Les Miserables, Pimlico Opera Prisons Project). Nicolas studies with John Evans at Guildhall School of Music and Drama. Marcin Gesla (Bass) started his singing education in Poland where in 2006 he completed his Master degree vocal studies. The same year he was awarded a scholarship to attend the Royal Academy of Music, where in 2009 he completed Postgraduate Opera Course with Distinction. Last season Marcin sung Sparafucile in Rigoletto and Angelotti in Tosca for Opera Brava. He also sung Bonze YA Programme in Madama Butterfly for Opera Holland Park, King in Aida for Kentish Opera, Zuniga in Carmen for Impact Opera and Riverside Opera. He took part in British premiere of Lord Berners' Le Carrosse as Thomas d'Esquivel for Dorset Opera. Marcin covered Il Commendatore (Don Giovanni) and Don Fernando in Fidelio for Garsington Opera. For Fulham Opera he has sung Angelotti and Betto in Gianni Schicchi which role he also sang at Wexford Festival Opera. At Glyndebourne he covered Hans Folz in Die Meistersinger von Nurnberg . In Germany he sung Doctor Grenvil and Baron Douphol (cover) La Traviata in Schwerin. One of his favourite roles is Sarastro in Magic Flute which he sung for The London Festival Opera. His most frequently sung role is Colline in La Boheme and he did it for Longborough Festival Opera, Opera North (cover), New London Opera Players and most recently covered for Gubbay Productions in Royal Albert Hall. Philip Hesketh (Conductor) is Musical Director of Opéra de Baugé, the London Children’s Ballet, the West London Sinfonia, The Richmond Orchestra and the Norfolk Symphony Orchestra and makes regular guest appearances in Britain and abroad. He has a vast knowledge of the repertoire and gives concerts with many orchestras including the Belgrade Philharmonic, the National Philharmonic of Moldova, the Orchestra Della Svizzera Italiana in Lugano, the Orchestra of the Wiener Volksoper and the Wiener Residenz Orchester in Vienna, the and the Olsztyn State Philharmonic Orchestra in Poland. In 2001 Philip made his debut at the Royal Opera House, Covent Garden, replacing the great Russian conductor Evgenii Svetlanov in the Royal Ballet’s season of The Nutcracker. 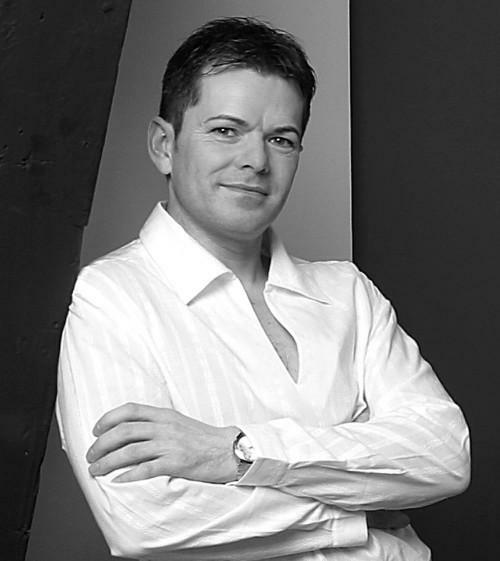 Appointed Musical Director in 2006, Philip has directed many performances at Opéra de Baugé, including Eugene Onegin, A Midsummer Night’s Dream, Rigoletto, Fidelio, Tosca, Aida and Madame Butterfly. The forthcoming seasons will see him performing Cosi fan Tutte and The Bear. Philip is an enthusiastic champion of contemporary composers, and he conducted the Swedish Premiere production of Thomas Ades’ opera Powder Her Face for Ystad Festival Opera. Philip is also highly sought after amongst singers as a performance coach. Susan Jiwey (Soprano) graduated with distinction from the Guildhall School of Music and Drama. She is winner of the Prix Bernac for Best Singer at the Ravel International Academy and has specialised in singing lead roles with small professional companies in the UK, France and Spain. Her busy professional stage career includes Mimi La Bohème in the Olivier award-winning production for OperaUpClose where she has perfomed the role in successful runs at the Ravenna Festival, Soho Theatre and Charing Cross Theatre. She has also sung Rosalinde Die Fledermaus for Opera de Bauge, Donna Elvira Don Giovanni with Opera Vera and Westminster Opera, Violetta La Traviata for Iford Festival Opera and Madam Butterfly for New Devon Opera. She is an experienced oratorio soloist and has recently appeared as soloist in The Messiah, Teatro Calderon, Valladolid and Dvorak Te Deum with Wimbledon Choral Society. Please see www.susanjiwey.com for more information. Stefanie Kemball-Read (Soprano) graduated with distinction from the Trinity College of Music postgraduate diploma programme. Operatic roles include Countess, Le Comte Ory, Euridice and Cupidon, Offenbach’s Orphée aux enfers, Lady Harriet in Flotow’s Martha, Adina, L’elisir d’amore, Ilia, Idomeneo, the title roles in Mozart’s Zaide, and Massenet’s Cendrillon, Donna Anna in Don Giovanni, Belinda & First Witch, Dido and Aeneas (English Sinfonia), 1stgenie, The Magic Flute, Euridice, Orféo ed Euridice, the title role in Handel’s Partenope, Tytania in Britten’sA Midsummer Night’s Dream, Lucy Brown in Weill’s Three-penny Opera, and Constance in Poulenc’sLes Dialogues des Carmélites. She has also appeared in many Gilbert & Sullivan roles including Phyllis, Iolanthe, Elsie, Yeomen of the Guard, Mabel, Pirates of Penzance and Josephine, HMS Pinafore. A regular performer on the recital and oratorio platforms, she has given solo recitals at London’s most celebrated performance venues including St-Martin-in-the-Fields, St James’s Piccadilly, St John’s, Smith Square, and King’s Place. Stefanie also recently diverted into conducting, as Musical Director to the Portsmouth Military Wives Choir, conducting them to number one stardom in the UK Charts last year. For more details about Stefanie, please see her website www.stefaniekemballread.co.uk. After graduating in English and Linguistics in her native France, Aurore Lacabe, (Mezzo-Soprano) moved to England and trained at Trinity College of Music, where she gained an advanced postgraduate diploma in vocal studies with Distinction. Aurore has performed with companies and festivals including Grange Park Opera, Unexpected Opera, Stanley Hall Opera, Opera Up Close, Midsummer Opera, and Opéra de Baugé. Her roles include Mère Marie (Les Dialogues des Carmélites), Olga (Eugene Onegin), Mercedes (Carmen), Siebel (Faust), Dido/Sorceress (Dido and Aeneas), Dorabella (Cosi fan tutte), Rosina (The Barber of Seville), Flora (La Traviata), Orlofsky (Die Fledermaus), Stéphano (Roméo et Juliette), Emilia (Otello) and Frugola (Il Tabarro), which she recently sang for Opera Vera. Aurore is also a regular oratorio soloist in oratorio and recitals throughout England and France. Future engagements include concerts with The Mastersingers and cover Amneris (Aida) with South Downs Opera. Aurore studies with Cathy Pope. Oliver-John Ruthven (Continuo) began his musical career as a chorister at Westminster Abbey, and went on from there to Tonbridge School and the University of Manchester. He has been Music Director of HGO since 2008, conducting a huge variety of repertoire ranging from Monteverdi to Jonathan Dove via Handel, Mozart and Donizetti. 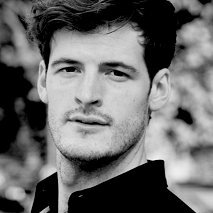 In 2015, Oliver-John will be assistant conductor to John Eliot Gardiner for the Monteverdi Choir's tours to the USA and Europe of Monteverdi's 'L'Orfeo' and the Vespers of 1610. He is in much demand as a continuo player, currently working as harpsichordist for the English Baroque Soloists under Gardiner, and as a founder member of Musica Poetica London. He has also played with the London Mozart Players and the Little Baroque Company. He is looking forward to working with Glyndebourne Youth Opera on their forthcoming production of Purcell's 'Dido and Aeneas'. 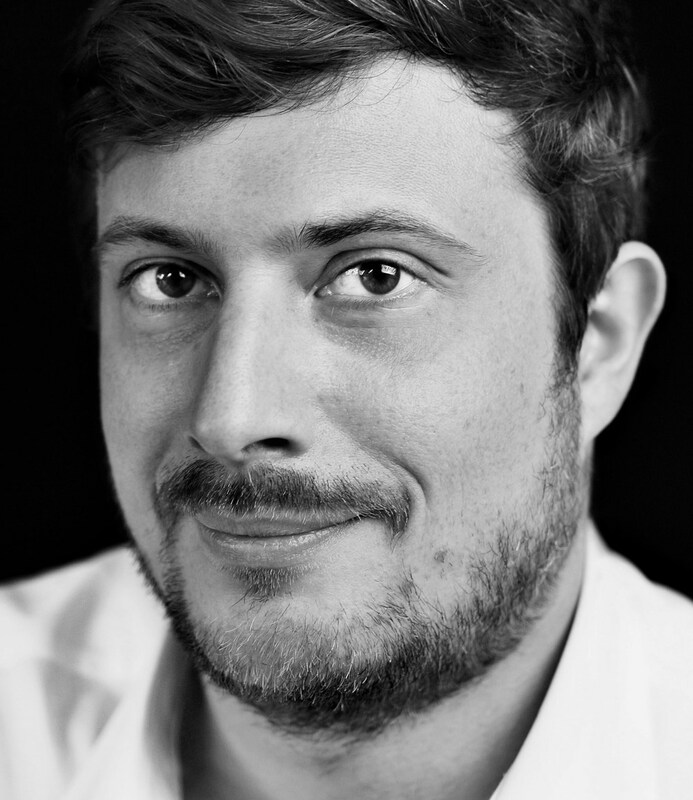 As a choral conductor and accompanist, Oliver-John has worked with the National Youth Choirs of Great Britain, the Halle Youth Choir, the Classical Roadshow, the Brighton Early Music Festival, and the Orchestra of the Age of Enlightenment's education department.